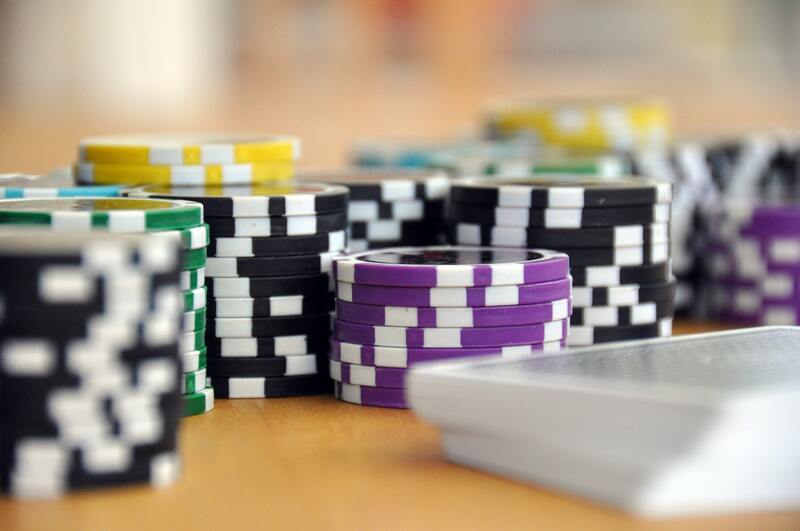 Bending The Cost Curve: Are Retailers Leaving Chips On The Table? Imagine you're in Vegas and you've been gambling all night. There's $100,000 in the pot, and you're holding a royal flush. Everyone around the table lays down their hands while you struggle to keep a straight face. 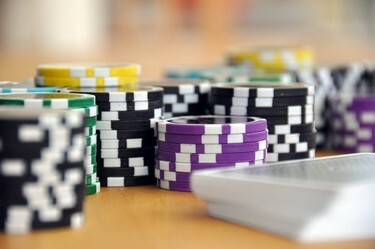 You calmly look at your cards, the dealer, the players, and that $100,000 pot. You lay down your royal flush to reveal your winning hand. This is your moment. You pause to take in the looks of amazement around the table. Then you get up and walk away from the table, grinning from ear to ear—and leaving your $100,000 on the table. Sound crazy? Yes. But that's what process improvement practitioners often do when leading capacity-saving projects. You identify opportunities to reduce the time and effort that go into executing a process, then walk away and leave your chips on the table by not quantifying and realizing the financial benefit. It's generally easy for companies to calculate direct cost savings, which are defined as a reduction in a budget line item. You simply figure out how to save on budgeted overhead. In a retail environment, examples of direct cost savings might be reduction in planned contractor expenses, decreased shipping costs, or less spend on spoilage. It's trickier, however, to estimate the expected value of indirect savings from a reduction in the time and effort required to complete a task—i.e., the saved capacity. Many capacity-saving projects simply end with theoretical savings. You write down how many hours each employee or asset will theoretically save, put it on paper, and claim victory. If you're a bit more sophisticated, you might take an average hourly labor rate and multiply it by the number of hours expected to be saved. For example, you might estimate that a process improvement would save 500 hours of store retail associate per quarter at a $50/hour rate, equating to $100,000 of capacity per year. If you take a shortsighted cost benefit and lay off 500 hours' worth of store employees, this would represent a one-time direct cost savings from the labor budget. If you don't take this draconian step, then the $100,000 in estimated capacity savings will be no more than a figment of your imagination—unless you do something constructive to repurpose the freed-up time. On paper, capacity savings feel good, but the benefit remains a fiction that provides no real value unless real action is taken to capitalize on it. Over time, leaders and participants question the value of process improvement activities that are long on talk but don't move the needle. Before long, support for capacity-saving efforts will vanish. Destroy capacity (aka, the bad way). Of course, you could immediately convert the capacity savings into direct cost savings by reducing head count. This is almost always a terrible idea for two reasons. First, and understandably, people will refuse to participate in future process improvement events for fear of losing their jobs. Second, taking one-time cost savings at the expense of potential growth, innovation and continuous improvement exacts a significant opportunity cost. Repurpose capacity. You could take the capacity you've freed up and redeploy it elsewhere, or transfer those people to high-value activities, such as training displaced buyers to be inventory planners. Another approach is to convert a portion of the saved time into an "innovation allowance," a dedicated allotment of hours each week or month that the team can use to solve problems or develop new ideas. Assumption 1: Revenue projections are constant. This assumes you won't change your near- to mid-term (3- to 5-year) revenue projections. If you're decreasing the required capacity, you don't need to hire the same number of people or invest in the same assets. This bends your cost curve down and unlocks a net-forecasted profit you can realize. Planned profit increases because you don't need to invest as much to gain the same amount of revenue. Assumption 2: Cost projections are constant. This assumes you don't change your planned costs over time. If you can increase the productivity of each revenue-producing unit by increasing capacity, you should realize an overall lift in revenue (value per unit). Δ is the difference between the originally projected value and estimated improved value for each period. This difference in value will be the expected increase in revenue from the original plan if projected costs will remain constant, or it will be the expected decrease in expense from the original plan if projected revenue will remain constant. R is the required rate of return used as the discount rate for future cash flows to account for the time value of money, the principle that a dollar today is worth more than a dollar tomorrow. n is the time period (e.g. year). C is any investment required to achieve the capacity gain. If you don't have a forecast against which to plot your improvements, take a few historical points and estimate what the near-term costs (or revenue), would be based on the most accurate historical data. Next, plot your expected improvements against these to calculate the Capacity Gain NPV. Use this method the next time you wrap up an improvement effort and hold yourself accountable so you'll be positioned to cash in on those valuable chips. There are usually significant opportunities to drive meaningful improvement throughout retail organizations. Don't walk away from a process improvement project until you have put financial value around the expected gain and tied that back to your organization's key financial metrics. When you score a winning hand, use these methods to ensure that all those chips make it into your pocket. Jeremy Hutton and Pat Edmonds are associates with Point B, an integrated management consulting, venture investment, and real estate development firm.